People will gather in New Waterford this evening to remember those killed in Cape Breton's worst mine explosion. A crowd will gather at a park in New Waterford, N.S., today, just as one did 100 years ago when a deadly mine explosion rocked the same site. On the morning of July 25, 1917, a blast tore through the No. 12 colliery 600 metres underground, killing 65 miners. 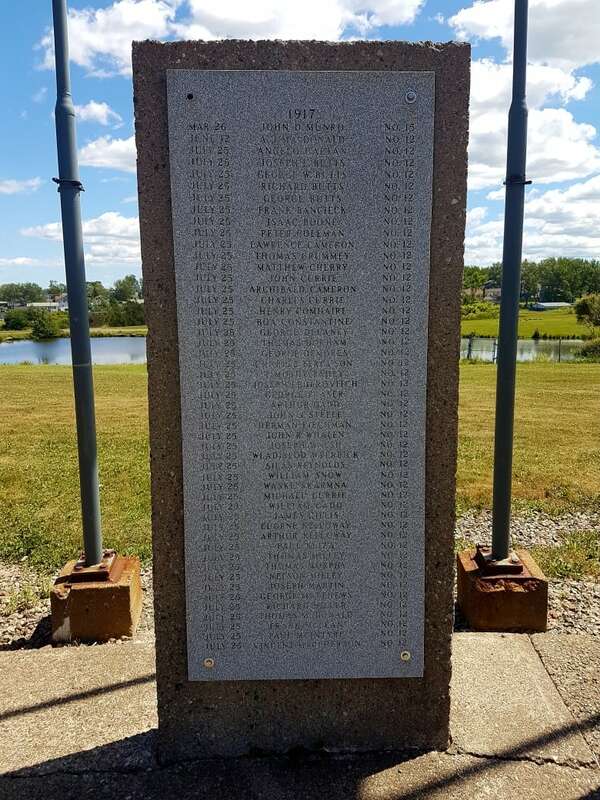 A monument now sits atop the closed coal mine at the Colliery Lands Park, with the names of the dead etched in stone. Historian Lachlan MacKinnon said the disaster was the worst in Cape Breton's long history of coal mining and affected everyone in the community. "Nearly every person in the town would have had some kind of connection to somebody working at the mine," said MacKinnon. "You can just imagine the kind of horror that happened in people's minds when they heard at 7:30 in the morning. Many of them could feel the explosion happening." 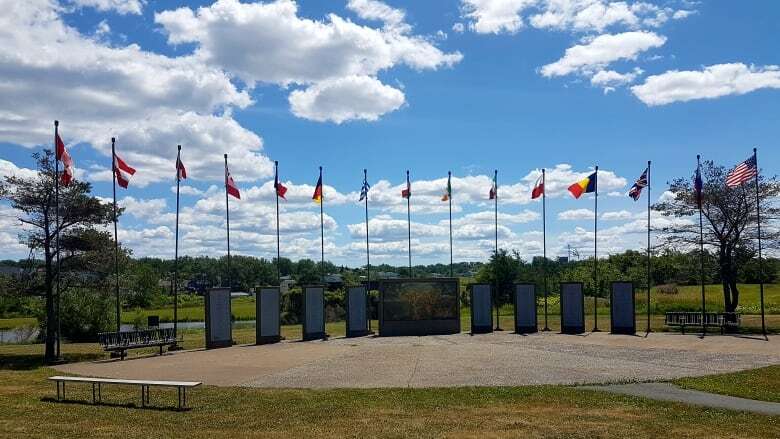 The Cape Breton Regional Municipality will mark the sombre centennial at the park with a lantern parade, a ceremony and a concert from the Men of the Deeps. Bob Burchell, a former coal miner, said younger people are taking an interest in their coal mining history and keeping the local heritage alive. "We do remember and we do honour those that worked in the mines. Almost everybody who lives in Cape Breton is touched by a mining tragedy," said Burchell, the United Mine Workers of America's interim international representative for Canada. MacKinnon and Burchell agree the tragic event led to improved workers' rights and the growth of the local health and safety movement. Burchell said the miners who died in the No. 12 mine explosion will be forever remembered as paving the way for better regulations. "It was tragedies like that, unfortunately, that led to better health and safety regulations in the mines and made it a lot safer for generations to come," said Burchell. The centennial ceremony is expected to begin at 6:30 p.m. at Colliery Lands Park on Ellsworth Avenue.